It sounded like such a good idea! Give away $100, $500, or ever $1,000 in Free Gas as a promotion, but pay only pennies on the dollar – like $25 for the voucher. Just 5 minutes of homework, a quick phone call, and a few reference checks would have shown deep trouble ahead for this flawed idea. Today, I want to share a story with you about a customer I spoke to who used a promotion involving gas coupons. This gas promotion coupon offer was really popular about five or 10 years ago, and we saw a lot of these offers going on out there – all of which tended to end in disaster. But why did these promotions end badly? That’s what I’ll be touching on, as well as what you as a business should look out for to ensure you’re dealing with a legitimate promotions company. The idea of the gas promotion, as you may already assume, was to give away different increments of gas dependent upon the value of a sale. For example, you could cover $500 of gas when the customer bought something from you such as a car. Here’s how it was supposed to work: the customer goes to the gas station and they fill up their tank. For every fill up, they’d get $10 or $20 depending on the voucher. As a customer, you would fill up your gas tank, keep your receipt, and then mail the receipt in to get money back – and you would have to do this upwards of 50 times. One of the first problems that can occur is if your dealership advertises the promotion in a way that implies the gas is free, because it isn’t. Instead, it’s more of a reimbursement scenario; and the customer still has to cover the expenses of envelopes and stamps just for mailing the receipts in. On the business side of things, there were also issues for the companies that actually made these gas promotion vouchers. Because, as it turns out, what a lot of customers did was as follows: they’d go to their local stationery store, buy 50 envelopes and stamps; and then every time they went to a gas station, they would chuck a receipt into one of these envelopes and send them off immediately. Now, someone who drives to and from work 5 days a week could need to fill up their gas tank one or two times a week or more, which meant that single person was sending in one to three receipts a week. Because many of the promotion companies also dealt with the reimbursements, this created a serious issue in terms of profit vs loss. More often than not, the promotion companies would make these vouchers available to dealerships for a relatively low cost. Let’s say the dealership had to spend $25 per voucher, but each of those vouchers made a qualifying customer eligible to have $250 worth of gas reimbursed. The receipts for reimbursements started coming in much faster than these promotion companies were selling their vouchers. They could be looking at a situation where they could have sold, let’s say, 200 vouchers in a week, which equates to $5,000; but then they could have had hundreds (even thousands) of receipts come in that week that would equate to $20,000 needing to be reimbursed. As a result, almost all of these promotion companies would then place greater restrictions on reimbursements and stop sending customers their money. Then any company that had utilized these vouchers to get more sales in their showroom would be left to face the fallout. 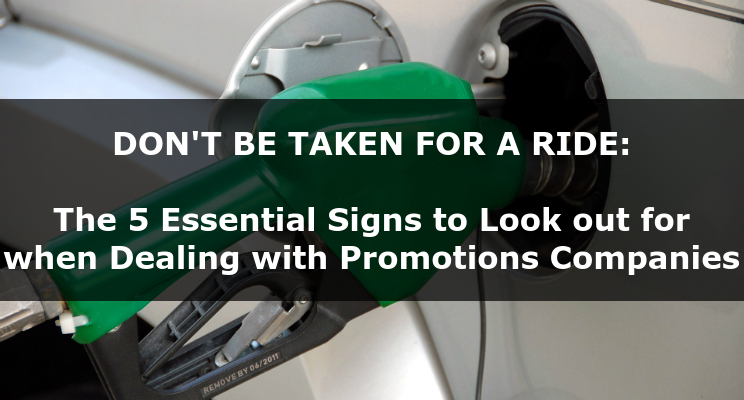 Given that we regularly get calls and offers to “help” our business do better, I thought it would be good to look at how you can identify any red flags in regards to a promotion business, as well as what we can learn from the fallout of offers such as the aforementioned gas promotion. Now admittedly, 10 years ago it was a little bit harder to track down business reviews – we really only had the Better Business Bureau (BBB) to look at. But nowadays, you have the BBB, Facebook reviews, Google reviews, and a plethora of other websites so that we can, at least, see what others have to say about a business, their products, and services. One thing you should watch out for is any business that has turned off their reviews. For example, on Facebook you can have a Facebook page, but you can disable the reviews. Obviously, any Facebook page lacking review functionality could be a red flag. 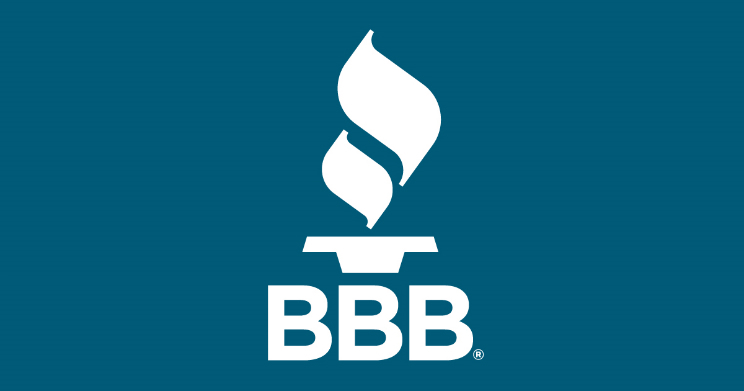 The Better Business Bureau is still a legitimate, and important, source to refer to if you want to gauge how legitimate a business is. While they only allow people to file complaints if they felt that they’ve been hard done by, the BBB also features reviews that you can refer to – so it remains a relevant source of information. When I say look at the terms and conditions, I don’t just mean glance at them. I mean you should actually sit down, read, highlight and understand, and ask questions about the fine print. Put yourself in the shoes of the person that’s going to get whatever offer it is and ask yourself if you would be happy with it. Ask yourself these questions: how long has the promotions company been in business, how big is the company, are they licensed, are there any government regulations or oversight over the business? Depending on the type of offer you’re considering, there might be an industry association, or there might be specific licenses that the players have to have in order to operate. Don’t hesitate to ask for those things. Don’t just read the testimonials on the company’s website, but actually speak to a few people in your industry, and maybe in some other industries. Ask for some references of people you can speak to who have used the products from the company before. And don’t just fluff it off, make the calls and get the feedback so that you can make up your mind as to whether or not this promotion would be good for your business. If you follow and enact these five steps, chances are you’re going to have a great promotion that has been organized through a great promotions company. You’ll more likely have a positive experience, a better chance of truly increasing sales, and you won’t get bitten because you did your homework.